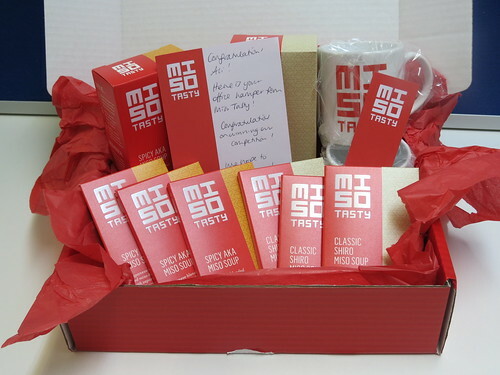 A little while ago I saw a competition on the Miso Tasty Facebook page to win an ‘office hamper’ and thought I’d have a go… and I only went and won! 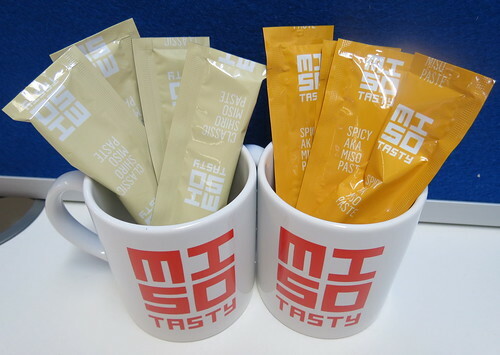 We got a couple of cute Miso Tasty mugs, and lots of ‘classic shiro’ (white) and ‘spicy aka’ (red) miso soup in various different kinds of packaging. The soup was really, really good! 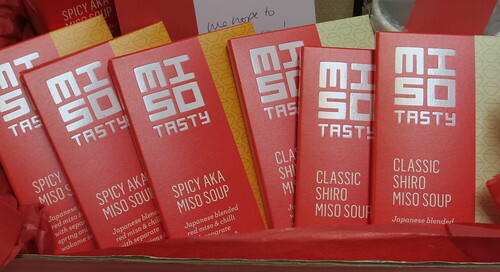 It’s much better than some of the other instant miso soups out there in the UK’s supermarkets, and has a really rich, healthy taste. 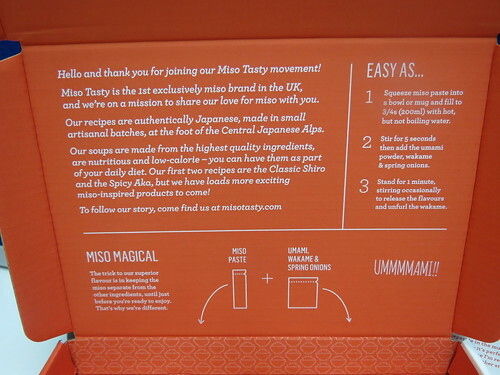 The packaging was really cool – very colourful and full of little things to read. It reminded me a lot of the Innocent brand, which is definitely a good thing. Ooooh looks delicious! I love the packaging too 🙂 Congratulations on a great win!